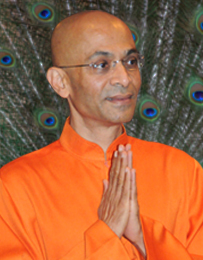 This is an introduction to the spiritual community created by our Bapuji (Swami Ashutosh Muni) to help you decide if this community is appropriate for you and – if it does feel suited to you – to become integrated and harmonized with the community as quickly and smoothly as possible. We gladly welcome all individuals who cherish the values that have brought us together. Bapuji descends from an ancient lineage of yogic masters, each of whom embodies the principles they teach. The founder of the lineage, Lord Lakulish, initiated our grandfather guru, Swami Kripalvanandaji into the deepest secrets of Kundalini yoga. Before attaining his final liberation, Swami Kripalvanandaji passed his knowledge on to our Bapuji (“beloved father”). Thus, the complete knowledge of the yogic path has been preserved by our lineage and remains available to the world. In our community, we recognize that there is a complete scientific approach to spirituality that is fully supported by the laws governing spiritual evolution. These laws show that human growth and transformation are meant to unfold in the context of a supportive, loving family. Thus, in accordance with these laws, our most basic and central guiding principle is that we are a family in the truest sense of the word. Just as in a biological family, where support and love are given without expecting anything in return, we offer our whole-hearted support and love to each other purely for the sake of doing so, with no other agenda or external motivation. This creates the most suitable environment for the unfoldment of everyone’s spiritual potential. “Seeker” refers both to all of the individuals who, at various stages of growth, make up the community and also to the lineage-holding teachers who, through their spiritual practices, embody spiritual law. Without the first type of seeker there is no reason to have a community; without the second type, there is no way for the community to connect the Four Dots and succeed in its purpose. “Scripture” refers to all the teachings that come from our lineage-holding teachers, other realized masters, and God. Scriptures can be embodied in many forms, including books, sacred architecture, art, and music. They help us to recognize, appreciate, and apply spiritual laws throughout our journey. “God” – Swami Kripalvanandaji once said, “God is an ocean of love, a mountain of love, an infinitude of love. He does not punish or judge or even know how. He is simply in love – with us.” Developing our faith in this Infinitude of Love is part of the scientific process of yoga. The emphasis on the Four Dots is perhaps the most distinguishing characteristic of our path. The reason for the importance given to them has to do with the difficulties that are encountered along the yogic journey, especially in more advanced stages. It is absolutely essential to cultivate them from the very beginning of the journey, before reaching those advanced stages; otherwise, they will not be available when we need them. For this reason, the Four Dots are the foundation of all that we do – our most important assets on the spiritual journey. They bring us into alignment with the law of spiritual evolution and they even take us beyond the law all the way to the very highest realization. 100% dedication – the Lakulish community is not merely an educational institution of the type where it is considered normal to participate to a limited degree – for example merely to satisfy curiosity, learn a skill, have a social outlet, etc. The very purpose of the community is to create an environment where total dedication comes naturally. We thrive because serving each other is the number one priority of all members. Therefore we ask you to consider carefully whether or not you wish to commit yourself fully here. We are in love – we do not regulate our behavior with rules. Instead, we allow our behavior to be naturally self-regulated by our love for God and our own true Self. As a result, there is a wonderful harmony that arises spontaneously among us that cannot be created in any other way. No power, authority, or control – the only “authority” any family member has is to serve and protect other family members; we are completely non-hierarchical and do not exist to serve any commercial interests. If, after seriously and deeply reflecting on these principles, you feel a strong sense of alignment with them and find that they truly match your own heart and soul’s aspirations, we gladly invite you to pursue further involvement with the Lakulish Family. We are happy to provide you with additional materials and an application to join an upcoming scripture study workshop.